Sydney’s CLYPSO has just delivered her debut EP ‘Cameo’, featuring 2018 favourites ‘Pop Roll Flow’ and ‘Middle Ground’ featuring Kwame, latest single ‘Strange Behaviour’ featuring Sophiegrophy, as well as two fresh new tracks. ‘Cameo’ is a collage of the musical fabric that is CLYPSO, bent around the edges and in the name of free-loving groove; pure escapism. It is a collection of hyperactive beat-driven flight of ideas as well as a pastiche of the artist's sonic and cultural influences. A songwriter and vocalist who produces all of her own tracks, CLYPSO has been turning heads since exploding onto the scene in 2017 with her breakthrough single ‘YOLO’. Her unique sound is showcased throughout the Cameo EP, with her vibrant production, infectious beats and signature vocal style shining through. 2018 saw CLYPSO come into her own as a live performer, being hand-picked to tour nationally with PNAU, supporting What So Not, and playing huge festivals such as Meredith, Festival of the Sun, Lost Paradise & more. ‘Beyond Desire’ is a an emotive ballad which features ARIA award winning world music artist Bobby Singh on tabla. 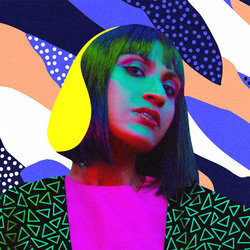 After writing this song, CLYPSO approached her dream choice, Singh, who recorded the part as well as an amazing solo alongside CLYPSO in his Melbourne studio. Beyond Desire is about a bigger love, for our collective humanity, for our collective cosmos.